Moving to a low sodium diet might help save your life. A high sodium diet is all-too-common with the prevalence of fast food restaurants and processed foods growing throughout the world. High sodium levels, however, pose many risks to the health of the heart. On the contrary, a low sodium diet reduces all of these risks and increases overall health. A low sodium diet is exactly what it sounds like. It is a diet that includes low levels of sodium. 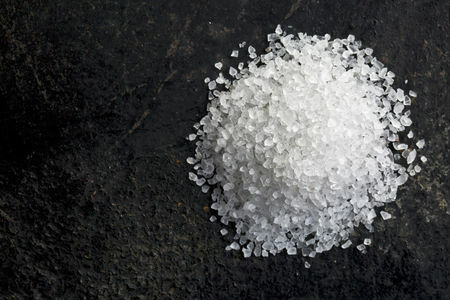 To lower the level of sodium within a diet requires removing or minimizing the amount of foods that are high in sodium while replacing them with low sodium alternatives. Processed foods which are often found in cans or boxes are typically the highest sources of sodium. Food purchased at many restaurants, especially fast food restaurants, are also often high in sodium. As well, salt is extremely high in sodium. Reducing salt is one of the most effective methods of adhering to a low sodium diet, but there are many other ways to remove high levels of sodium from one’s diet. For example, nutrition labels let people know how much sodium is present per serving. Many restaurants also publish nutritional information which can be examined to determine what low-sodium dishes could be purchased in lieu of high sodium alternatives. Lastly, meats and dairy include much higher levels of sodium than fruits and vegetables. Reducing the amount of meat and dairy in one’s diet is one step toward lower sodium. Replacing them with fruits and veggies can also aid in creating a low sodium diet. How Do Diets Help My Heart? There are many diets which are designed to help increase heart health. A low sodium diet is one of the most efficient ways to do this. By engaging in a low sodium diet, the risk of high blood pressure drops dramatically. The risk of cardiovascular disease, heart failure, hypertension, and the development of heart cancer decrease substantially. In short, reducing the amount of sodium is one’s diet may save your life.